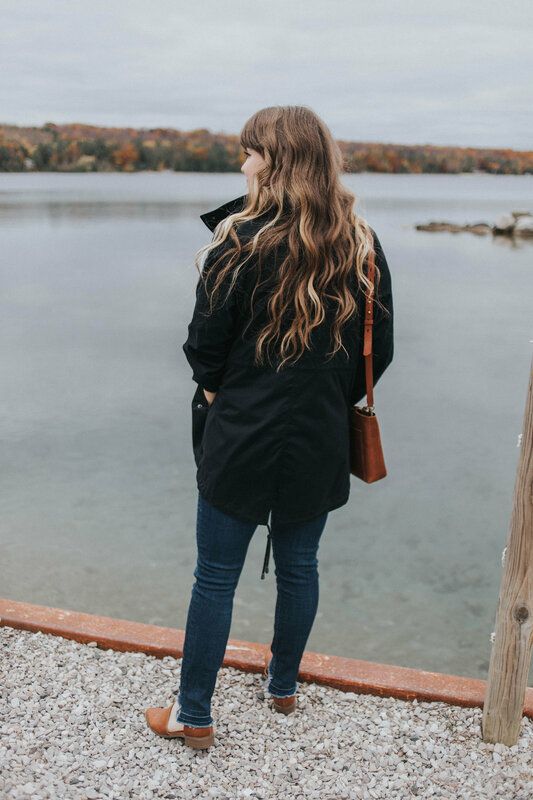 One of my favorite places to head in Michigan is up to Traverse City and the Leelanau Peninsula. 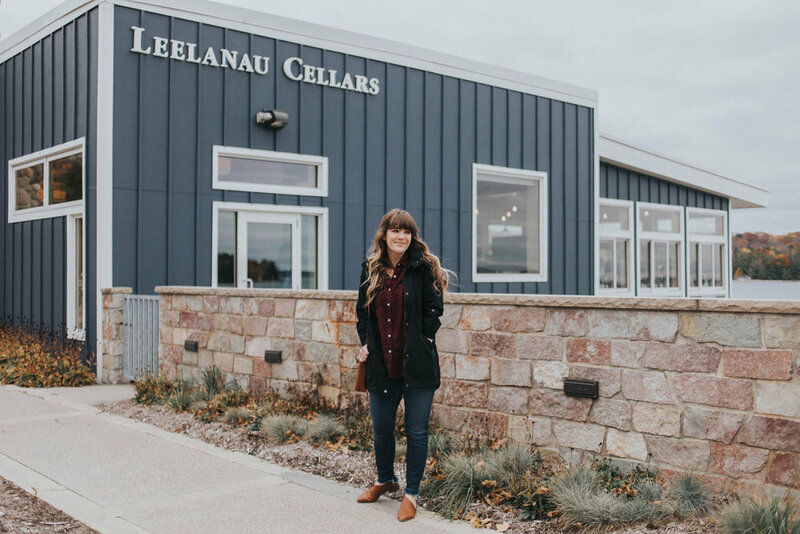 Last summer, I took a trip with my girlfriends and we booked a wine tour that took us all around – stopping to Leelanau Wine Cellars, which was my first time ever visiting! Instantly… it was my favorite winery. I’m a sweet wine drinker – all the way – bring on the sweet red and Moscato! And while I love wine tasting in Traverse City, there aren’t a ton of wineries that offer a breadth of sweet options. It was fate we stopped to Leelanau Cellars! I’m forever their biggest fan now, and I had the wonderful chance to stay there a few weekends ago with a group of our closest friends. It was one of the best weekends! 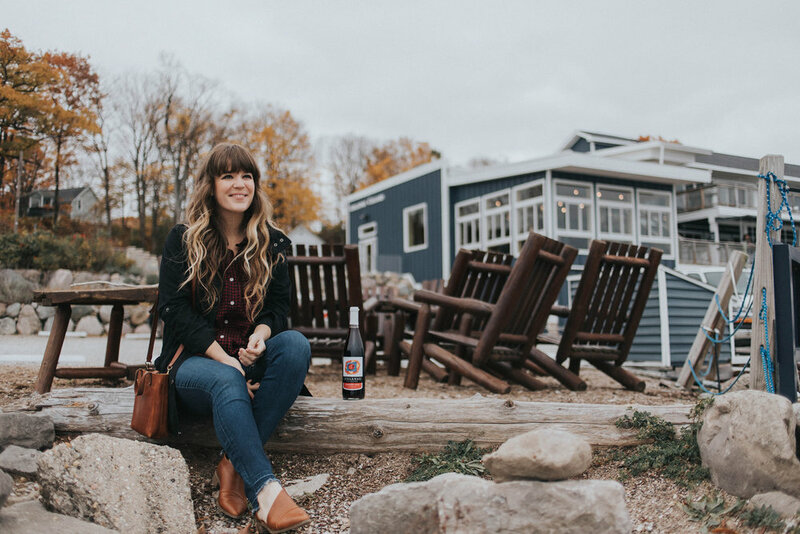 There are so many things that I love about Leelanau Cellars… starting with their wine, first and foremost, of course. My favorite wine is their Great Lakes Red, which is a sweeter red. 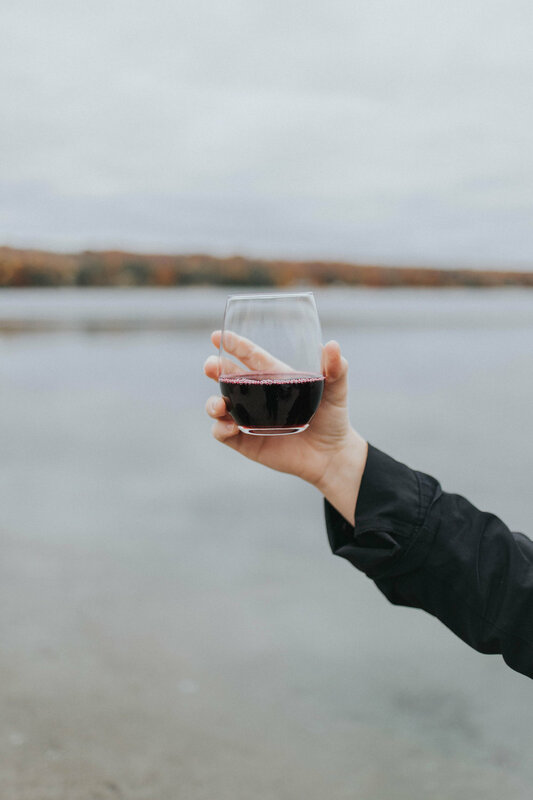 It’s like your favorite grape juice – mixing a rich and musky flavor blended into a sweet, vibrant red. It’s so delicious. My other top contenders include… their Cranberry wine (perfect for the holidays), their Tall Ship Moscato (which also comes in bubbly! 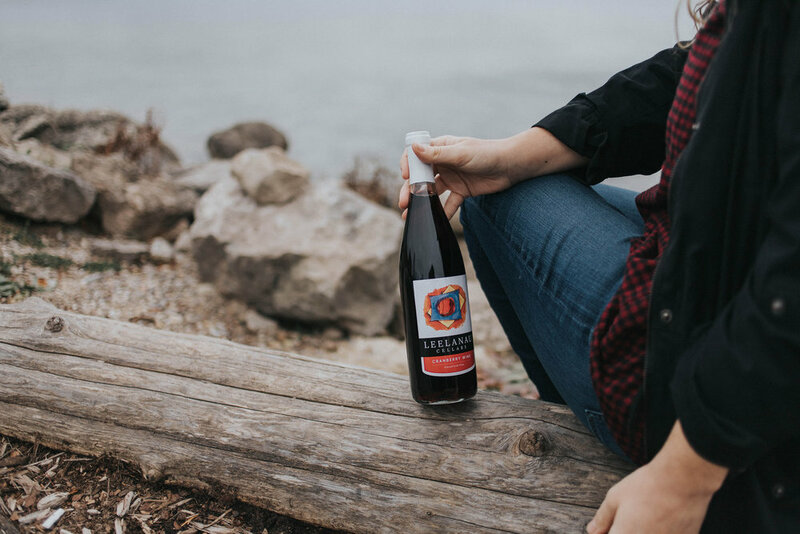 ), Witches Brew (which is my favorite autumn wine) and last but not least, their Late Harvest Vidal, which comes in the cutest little bottle – perfect for enjoying all by yourself. But if I’m being completely honest, I love all of their wines and they have a different type of wine for each season. Winter ones, fall ones, and yummy sangrias for summer. My second favorite thing about Leelanau is wine tasting at their location! It’s located right on the bay, with the prettiest views from outside… and inside the tasting room! During autumn, it was breathtaking. The colors were so beautiful! Winter would be so pretty covered in snow! Spring and summer are just obvious choices for visiting too – plus when it’s warm, you can enjoy sitting on their outdoor patio. They’re super great about wine tours and accommodating everyone, and their wine tastings are FREE. You don’t find that too often while wine tasting in that area… so it’s such a fun bonus. Their service is wonderful and their staff was so friendly. And my third (and probably not last) thing about Leelanau Cellars is that it’s SO affordable. I’m definitely a budget-wine drinker, and have a really hard time spending anything over $15 on a bottle of wine… haha. But I have no problem picking up all of my favorites at Leelanau Cellars at prices anywhere from $7 to $22. The last two times I’ve gone there, I’ve just loaded up on a case of wine to bring home… because it’s delicious and SUCH a deal. And they give discounts on cases of wine too; which is super nice. But yeah, I know I sound like a walking billboard right now – but I’m truly in love with this place and want you to go and visit if you’re in the area! Visiting Omena was also fun! It was nice to be a little bit north of Traverse City, and to explore a new area. I’ve been up to the Grand Traverse Lighthouse before, but I never spent a lot of time exploring Northport/Sutton’s Bay. We had breakfast at the 45th Parallel Café and then headed down to Traverse City to do a little bit of shopping and to enjoy dinner out. In the evening, we headed back to the apartment to play games, listen to music, and to hang out and relax all night. It was a wonderful weekend, filled with the prettiest autumn colors, the greatest company, and the most delicious wines. 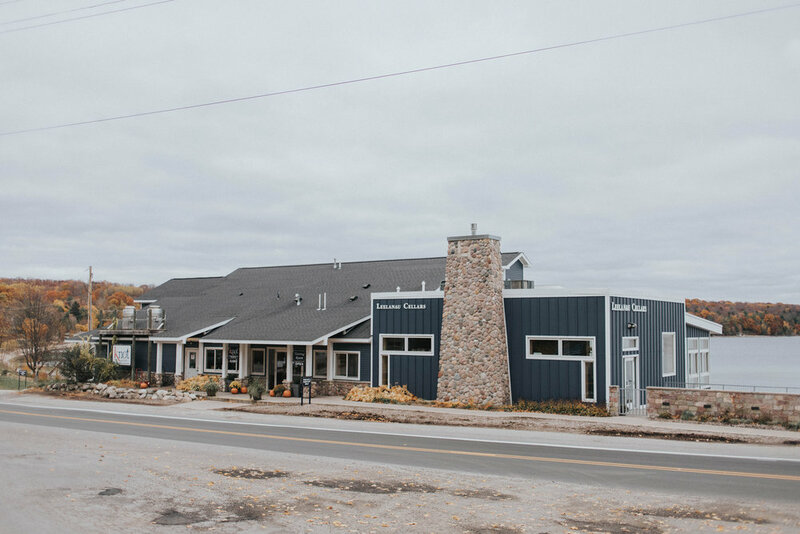 Be sure to check out Leelanau Cellars! If you’re local, a lot of stories carry their brand (Meijer, for sure), and if you’re wine tasting up north, make sure you stop there! It’s the best! This post was sponsored by Leelanau Wine Cellars, but all opinions are my own!